The air is getting warmer, the days are getting longer and the sun is shining brighter…what does all of this mean? Kids are playing outside, riding bikes and scooters, playing baseball – and sharing helmets and other sports accessories. Which also means – the spread of lice through your community. Begin preventative measures now to ensure that you remain lice free all summer long. 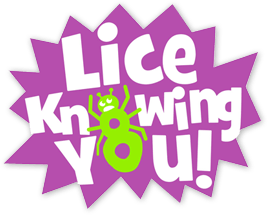 At Lice Knowing You© – we tell our clients to do weekly lice checks – OR – once a week, take a peek. Wet the hair with a detangler, grab a Terminator lice comb and do a quick comb through of the hair to see if you find any bugs crawling around or nits sticking to a hair shaft. With weekly checks, if bugs are found, chances are it will be a minor infestation and able to be treated with minimal time and cost. Encourage children NOT to share helmets, hats, sleeping bags, costumes, hair accessories, etc. At camp and during play-dates, keep long hair in ponytails and if possible, spray the hair with a prevention detangler – like the Lice Knowing You© Detangler and Conditioning Spray. Stop it before it starts biting you! Here’s to a WARM, safe, healthy and lice-free summer!